In my social circle, there are five of us who had children within a few months of each other, four years ago. This has been an amazing experience, as all of our children grew and hit their milestones together. It also means that, about 18 months ago, three out of the original five, decided to have a second child. This time, they're spaced a little bit further apart, but that same experience remains as we navigate the world of having more than one child, of sibling jealousy, and of there just not being enough hours in the day. This book was not published when I was pregnant with my second, but I've recommended it to every pregnant mom I know since I read it last year. 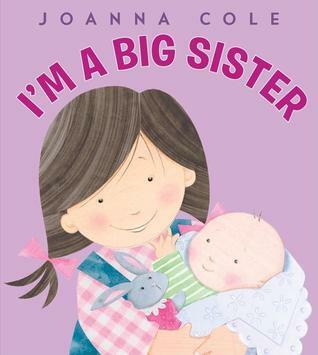 It truly celebrates the older sibling, in their active, crazy, non-stop ways, while also encouraging children to find a quieter, gentler side for their new role as big brother or sister. I love that the message is not that the older sibling will have to change, but rather take on an additional role. 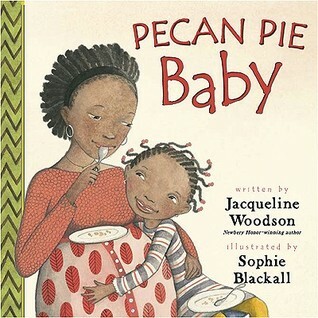 Unlike many sibling books which focus on life after the baby is born, Pecan Pie Baby is a story about the emotions a child feels during a mother's pregnancy. Gia loves things the way they are. And if everyone is so obsessed with the baby now, what's going to happen once he/she actually arrives? Very few books I know focus on this time, and Woodson writes in a way that is so candid and in line with what I imagine most young children are thinking. 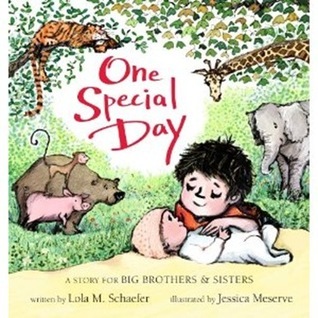 This book and its companion, I'm a Big Brother ,are written by the author of The Magic Schoolbus series. If you're preparing a very young toddler for a new sibling, these are two of my favorites. The text is simple and straightforward, describing things that only an older sibling can do (like eating pizza and ice cream) and the things a new baby will do (like cry when it's hungry). They are older publications, but very well written. We actually gave my daughter a copy when she came to visit her brother in the hospital for the first time. The truth is, you can only do so much to prepare your family for all the joys and challenges a new baby brings. Newly promoted big brothers and sisters will still experience bouts of confusion, jealousy, and anger after the new baby arrives. So as moms, we do the best we can, and hope for the best. My own two are now 1 and 4, and are now at an age where they adore each other. So if you currently fall into that category of expecting a second child, take a deep breath. Life is about to get a whole lot crazier... but oh-so-good.